One day while we were staying in Freiburg we walked through the market that is held by the Gothic church that towers over the city. There were vendors selling fresh flowers, local produce and sausages and small souvenirs. There was even a vendor selling locally made vegan sausages upon which we stuffed ourselves for lunch. We wandered around for a bit and finally came upon a man with tables full of old books. In a box on one of those tables was a collection of dozens of small books with the most amazing prints on the covers. I wanted to bring all of them home but we finally narrowed it down to these six. The man selling the books hadn't even acknowledged our existence after browsing around his tables for half an hour so I thought it would be the perfect time to put all of my German lessons to use. I was so excited to finally try it out, since most everyone we encountered spoke very good English. I was able to say, "Hello. I would like to buy something, please. Six books. How much do I owe you?" It was rudimentary at best, but he finally acknowledged us and we walked away with the books in hand. I think they are too lovely to put on a bookshelf so I'm looking for some deep frames (shadow boxes maybe?) to put them in and hang as a collection in our living room. oh they are wonderful finds! I love old book covers too. Ah, wouldn't you love those prints on textiles!? Gorgeous! Wow, those are amazing; so pretty! I think shadow boxes or something similar could work really well. 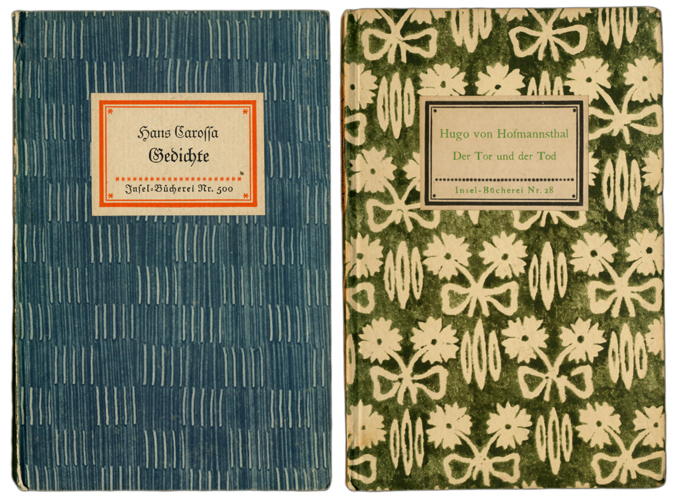 I don't know any German at all - but I can appreciate a pretty pattern - these are certainly too pretty to hide away on a bookshelf, good idea to frame them! Gorgeous! Definitely too lovely to sit hidden on a shelf. I'm glad to hear that there's a good level of English spoken, we're heading to Europe in a couple of months and I'm a bit worried about learning enough basic phrases to get by! Gorgeous find. The yellow book with the blue stars by August Strindberg - he's Swedish and the original title is Svanvit, it's a play he wrote in 1901. Just thought you may want to know! 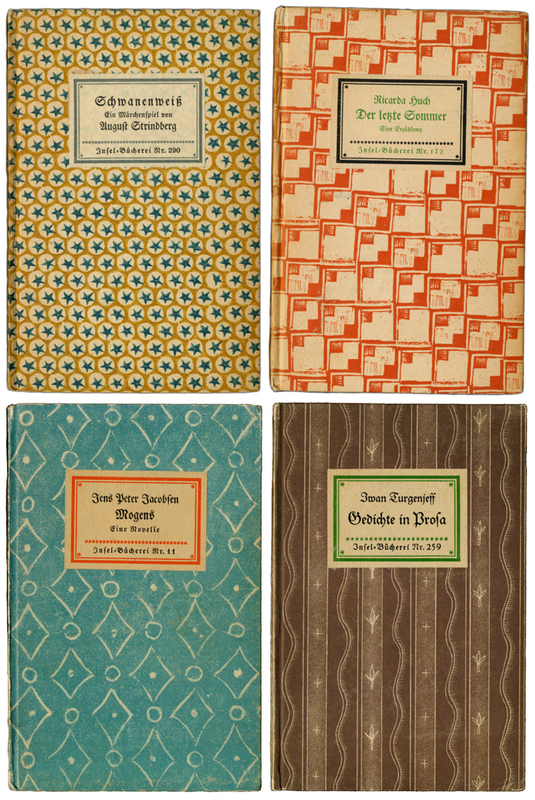 I love vintage book designs too, these are such a treat!